Wall Street Journal, yesterday, reported that Dell is set to enter the smartphone market (subscription required). Dell has been making prototypes based on Android and Windows Mobile platforms for more than a year. The plans are still up in the air and Dell could decide not to enter the market after all. If it does go ahead, the announcement likely to come at the Mobile World Congress next month. If Delll does decide to enter the market, in my opinion, it should stay for the long haul and innovate to make money.It should also look at some of the Japanese manufacturers, not just look at Apple, as the report suggests. Being just another cell phone provider will not cut it, as Motorola and Palm can attest. Based on Dell’s track record, it will have to be head and shoulders better than in the PC business to survive. Will Palm Pre be a Best Buy exclusive? Rumors has it that Best Buy will launch Pre exclusively other than Sprint for the first 60 days. While this is not confirmed, this could be quite a scoop for Best Buy given the hype around the Pre. Is Pre Palm’s last hurrah? 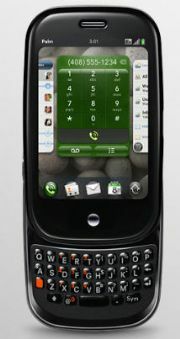 Last week at the CES, Palm launched its Pre touchscreen phone to rave reviews. One of the reviews was by Newsweek which profiled Palm’s executive chairman and ex-Apple engineer Jon Rubenstein. The article talks about how Rubenstein joined the company in 2007, cut projects and products and focused the company on its freshly minted Pre and the new operating system WebOS. The operating system is certainly a game changer for Palm, whether it will be for the rest of the industry remains to be seen. Palm is already struggling even before the economy got worse. It has announced layoffs, though it is still hiring new talent. It has mediocre products out on the market that are struggling to generate significant revenue. As Newsweek points out, it needed a $100 million investment just last month from its sugar-daddy investor Elevation Partners, who have now invested $325 million in the company. Elevation clearly sees value in the company, but how long can it afford to sink money in it without visible results? I believe sooner or later Palm will reach a familiar crossroad, having to decide whether it wants to be a device company or a software company. Clearly the Pre and Web OS has bought some time for Palm. However, based on initial reviews, it clearly does not have an iPhone like market anticipation. It will definitely get some short term revenue gain. But, has it come too late to the software party in an already crowded field and more importantly, how are the developers to react? Palm has tried to make it easy for the developers but will they be willing to adopt yet another platform and deal with the headaches of porting their applications again? 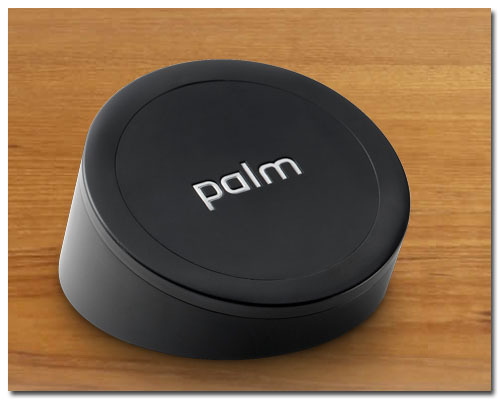 However, the bigger question still remains: Is Pre and WebOs the last hurrah for Palm? Can it survive in a cut-throat, splintered market competing against several deep-pocketed players in this economy? What do you think? Feel free to share your thoughts below. Just keep in mind, no flaming or cursing. After a month long hiatus and attending CES, I am back. Here is a quick round-up of the mobile related news from CES. First off, this year the CES was decidedly low key. The focus was more on personalization and content. Hence there were not many ground-breaking devices unvieled at the show. Rather, there were numerous services and new content being presented. Also, from an overall show perspective, there were a lot of thin LED and Plasma TVs from numerous vendors including Samsung, Panasonic and Sony. Of these, the Sony OLED and the thin LEDs from Panasonic were truly jaw-dropping. One thing that was not jaw-dropping were the numerous bad acts that the exhibitors had to entertain the audience in the expo center with Casio having perhaps the worst act, a single dude who could barely play the piano, let alone sing. Coming back to the mobile scene, Sony unveiled several devices including camcorders, TVs and a couple of new phones as part of its joint venture with Ericsson on the opening day of the show. 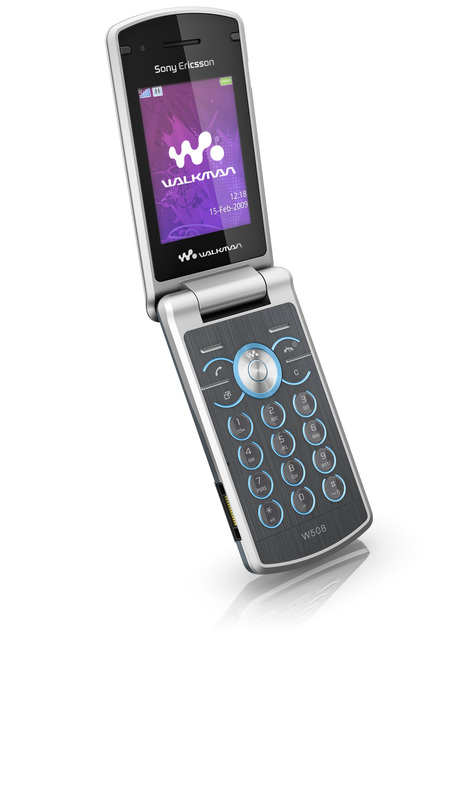 SE unveiled a Walkman and two Cybershot branded phones, the W508, C510 & C905 respectively. The W508 is a flip phone and the C510 is a candybar with a slider for the camera lens and flash. Both these phones are middle of the line products focusing on their respective strengths, namely the music aspects for Walkman which includes FM radio, SensMe, TrackID, Shake/Gesture control and PlayNow, while the C510 focuses on picture taking with features like 3.2 Mpxl camera (incidently, the W508 also has the same camera), Shutter Smile, Face Detection, Photo Fix, and autofocus. Both phones have the quad-band EGDE/GRPS and tri-band HSPDA for worldwide roaming. These phones because of the HSPDA capabilities will likely be launched on the AT&T network with the C510 slated for release in Q1 and W508 in Q2. 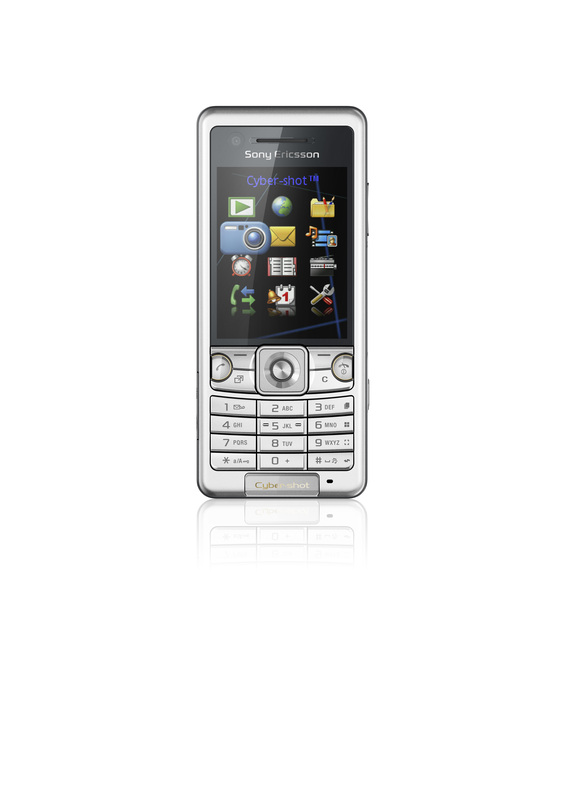 The C905 is a 8.1Mpxl camera-phone with quad-band GSM, HSPDA, and WiFi capabilities. The camera has autofocus, geotagging, smile detection, face detection, a self timer, and a digital zoom capabilities. The unlocked phone is expected to be released in Q2 in USA and is currently available in Europe for €499. Perhaps, the biggest announcement from mobile phones perspective was the Palm Pre announcement alongwith its new OS the WebOS and its Touchstone charging center for the Pre. The Pre is Palm’s curvy, touchscreen competitor to Apple iPhone. It has a full QWERTY keyboard that slides out underneath and runs on the EV-DO Rev A and will be launched in first half of 2009 exclusively on Sprint. The touchscreen is a 3.1-inch 320 x 480 multitouch display with a single silver button at the bottom and lower half of the screen capable of interpreting gestures. It also has a 3.2Mpxl camera, 802.11b/g WiFi, GPS, Bluetooth with A2DP and 8GB of built-in flash storage. Palm also launched a cool looking wireless charger for the Pre called the Touchstone. This hockey-puck shaped and sized charger holds on to the Pre magnetically in whatever position it is put on. Steve Ballmer of Microsoft announced that its partners had sold 20 million Windows Mobile based devices in 2008. Also, Microsoft and Verizon Wireless announced an important deal where in Microsoft Live Search will be the default search engine on all VZW phones for the next 5 years. Going forward, Microsoft plans on focusing on fewer than the 140 different devices that currently run Windows Mobile to better compete with other operating systems. Three phones from LG, namely the Dare, Vu and Invision were awarded the CES Innovation Awards by CNET at the CES 2009. Dare with its 3 inches touchscreen was also awarded the Best of Innovation. The Vu and Invision were awarded for their mobile TV capabilities. The big announcement for LG was the phone watch which is a watch with a large (for a watch) screen which displays incoming phone numbers, 7.2-Mbps HSDPA, voice recognition, Bluetooth, speakerphone, an integrated music player, video calling, and a touchscreen. Users can talk using Bluetooth headset. However, there is no word on how long the battery will last and the LG person in the booth was very evasive about it. Samsung introduced the Pico projector for mobile phones which can project content from your mobile phone on any surface. Nokia did have one new device, 1006, which was designed at its San Diego facility and features large, bright color display, voice memo, speakerphone, as well as a phonebook capable of holding 500 entries. The new curved sleek device will be made available in blue and silver. Other than that, it also announced that several of its devices including its vaunted N97, the award-winning E71, the E63 and 7510 will be launched in the North American market during the year. Here is a review of the Nokia E71 from D-Caf, a WMExperts discussion member. He likes the phone and impressed with user interface. He also likes the liberty to install any third party software on the phone he wants. He compares it to his old Palm Treo 680 with Palm OS and feels the S60 simplicity is as good as the Palm. The multimedia playback capabilities are way better than Palm’s and as are the camera and GPS capabilities. Above all, the 3G capabilities and battery life make it a very nice purchase for him. It is one powerful smartphone, focused primarily on the business user but with plenty of features that will appeal to consumers in the “power user” segment as well. Dieter certainly likes the Treo Pro and very enthusiastic about its prospects. It certainly looks very polished and will fare well in the smartphone market. However, Palm needs to follow up with additional phones that can make it a contender once again. Otherwise, it could end up being a one-hit wonder.